While choosing colors for your wedding, we suggest you allow your creativity to flourish, however you should also think in terms of practicality. So, you say how does this work? Well, there is a place for both to exist and even compliment each other. Consider how colors selected may be incorporated in your life after the wedding for practical use. For instance, selecting unique wedding decorations in colors that can also be used in your home afterwards, is one way to tackle this challenging feat. Trans-seasonal colors like silver, gray, gold or bronze are are also practical and can serve as functional accents in your home for years to come, all while adding flair and pizazz to your wedding or bridal shower. Berry hues and rich orange will accent spicy browns and bronze metallic. Although primary colors are showing up again, this season we can look for monochrome color schemes in various shades to continue. Black and white will still be popular - with a dash of color added for a more interesting pallet - primary colors will be seen more and more with this duo color scheme. 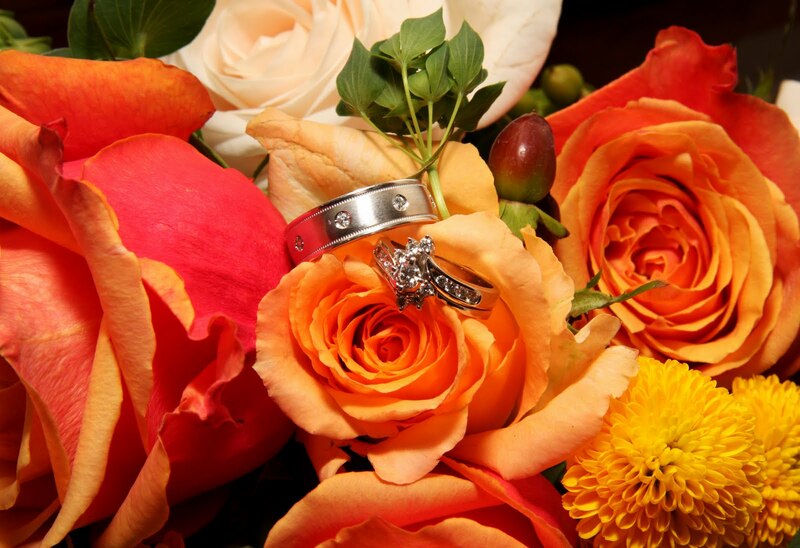 Below are 7 color tips you want to consider when planning your wedding. Translucent colors, that are soft and have a retro feel will help create a since of fantasy and will remind us of our love of fairy tales, beauty and elegance. Modernized nostalgia and revisiting the past will show up in innovative ways - neutrals, grey and cream will be a part of these themes including metallics, shimmery gold, vibrant blues and purples. Add the richness of plum, eggplant and grape for a rich presentation. This season you'll see darker shades, purple wine, a very deep green, a navy black and a coffee brown with yellow, orchid, a purplish blue and jade green serving as accents for interesting combinations. 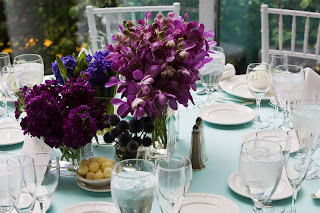 Weddings with deep violet, midnight blue, grape and purple will remain quite popular! Also, palettes with cool soothing colors and earth tones allow you to explore new ideas and embellish your own since of style. Accent your shower or reception with color! To further accentuate your theme, adding 2-piece unique wedding favor boxes in the most popular colors is economical and a thoughtful way to shower your guests with functional gifts that can be used again. Buy different colors to mix and match lids and bottoms. Personalizing your favor boxes by adding a single initial, your names and wedding date in foil imprint will say "thank you" in a very special way. These cute little boxes measure 2" x 2" x 2". Allow the colors you choose for your wedding, reception, shower and rehearsal dinner to truly express who you really are as a couple.